Heat oil in a pan. Add cumin seeds, pinch of asafoetida, and curry leaves. Let them splutter. Add half of the onion and saute till translucent. Add chopped ginger, garlic and cilantro. Saute for few seconds. 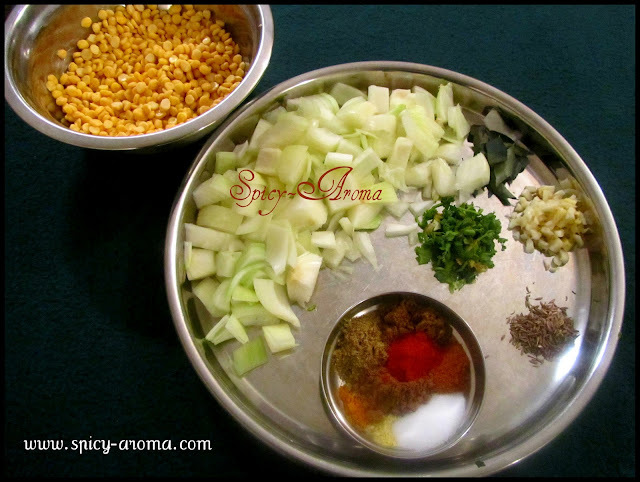 Add red chili powder, coriander powder, cumin powder, garam masala, turmeric powder, paprika and salt to taste. Saute till oil starts to separate from spices. Add little water to avoid burning of the spices. 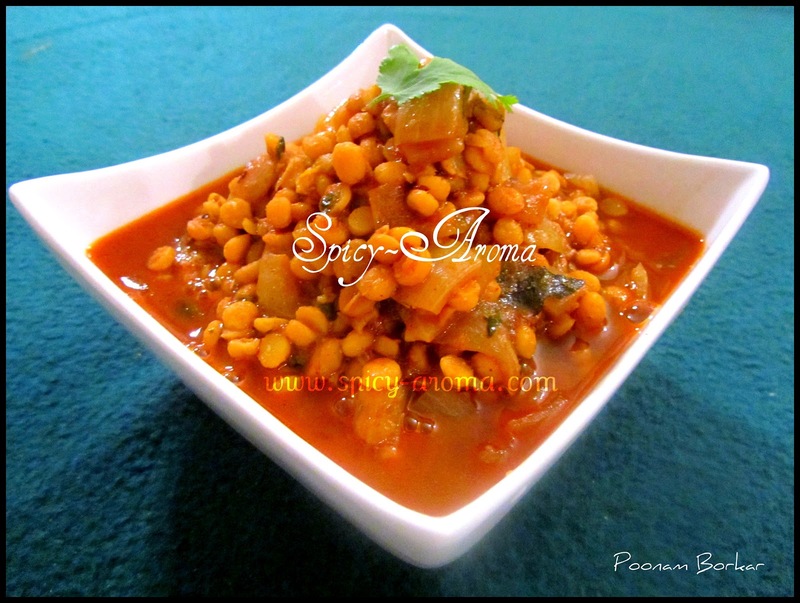 Add soaked chana dal and 2 cups of hot water. Let it cook for 10-15 minutes till dal turns soft. Now, add remaining of the onion and add some water if required. Let the curry boil. Cook for 5-6 minutes and switch off the heat. Serve hot with chapati or plain rice. Wonderful and tasty curry !! 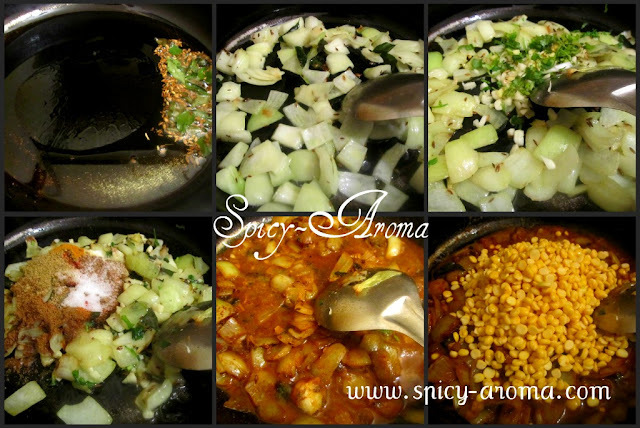 I also make this curry goes well with chapati ! !